This post contains excerpts from The Tapping Solution for Parents, Children and Teenagers. Picture Jenny, a 5th grader who is standing at the front of the class about to read her writing assignment aloud. As she looks down at the page, then up at the faces of her classmates, time slows. Her heartbeat grows louder and faster. She’s nervous, very nervous, and more than anything, she wants to escape. Jenny looks over at her teacher, who nods at her to begin reading. Jenny does as instructed, but before finishing the first sentence, she stumbles and mispronounces a word. The entire class erupts in what sounds to Jenny like the whole world laughing at her. Jenny is shocked and bewildered, unsure what to do and unable to move. She wishes that she could run straight home, but instead finishes as quickly as she can, reading very quietly for fear of getting laughed at again. Many of us have had “Jenny” moments, big and small events from our childhood where we felt humiliated, afraid and alone. Once we become parents, a story like this may strike us very differently. We wonder and worry, What damage will an event like this do—to Jenny’s self-esteem, her feelings about school, her friends, her teacher? And what should I, as her parent or teacher, do—or not do—to help her handle experiences like this? We feel conflicted, wanting both to protect Jenny and to give her the tools she needs to develop on her own. At times we may also take on her emotions and feel overwhelmed by them. One important place to start is by addressing one of the main issues that’s stopping our children from thriving, and that’s stress. It can seem like an unusual starting point, given that our conversations around stress typically focus on adults. Yet the results of recent research around stress and kids are, to put it mildly, shocking. According to the American Psychological Association, almost one-third of kids suffer from stress that manifests physically in the form of headaches, stomachaches, and more. 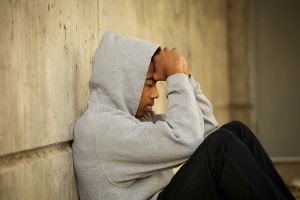 A Stanford University study found that the number of kids ages 7–17 who are suffering from depression more than doubled between 1985 and 2001. These trends around kids and stress don’t just seem to be continuing. They seem to be worsening. Standing in front of her class, Jenny’s heart began to race. Her face felt hot, and her hands clammy. 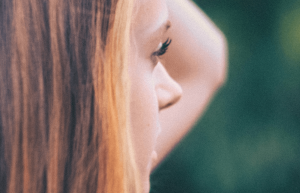 The stress Jenny was feeling wasn’t just in her head; it was also in her body. Before she’d even said a word, an almond-shaped part of her midbrain called the amygdala received a danger signal. Immediately her body was flooded with a mixture of powerful hormones, including adrenaline and cortisol, the latter often known as the stress hormone, which put her whole body on high alert. As a result of the cortisol now flooding her body, several “non-essential” functions, including digestion and the creative center of her brain, promptly shut down. While some of her physical senses may have temporarily heightened, her ability to problem-solve and focus on schoolwork had been temporarily sidelined. This process, which is known as the stress response or “fight or flight,” happened in a matter of seconds without her conscious awareness. While this stress response would naturally subside if Jenny had a positive experience, in Jenny’s case it intensified. Instead of relaxing into the experience of reading aloud to her class, Jenny panicked when her class laughed at her misread word. As a result of their laugher, Jenny’s stress response grew more pronounced, instantaneously morphing into the “freeze response.” In Jenny’s case, that translated into feeling like she couldn’t move or respond in any way to the class’s laughter. This “freeze response” is a defensive mechanism, an emotional and physical response to panic or extreme stress that we also see in nature. For instance, opossums are known for “freezing” when they’re under potential attack from predators. By “playing opossum,” as it’s often called, they appear to be dead already, and as a result, predators may become disinterested and leave. The opossum can then spring back into action and flee to safety. Since Jenny is unable to escape to safety, her hands begin to tremble, and her stomach feels queasy. In an attempt to protect her from future experiences like this one, her brain also begins transforming, creating neural pathways that associate public speaking with danger. Throughout the rest of the day, Jenny replays that moment in her head over and over again. Each time she does, her shame intensifies. How could I be so stupid? she thinks. By the time the school day ends, Jenny has relived that moment hundreds of times. At dinner, her stomach is so upset that she barely eats, and asks her parents if she can go to bed early. So what happened that turned this one experience into the cause of so much distress? Every time Jenny replayed the moment, or relived, when she was laughed at, her body re-initiated the stress response. Each time this pattern was repeated–1) remembering reading to the class and getting laughed at, then 2) initiating the stress response—her brain reinforced the neural pathways that associate public speaking with danger. These changes are made possible by the brain’s ability to “reorganize itself by forming new neural connections throughout life,” a characteristic known as neuroplasticity. As a result of these newly organized neural pathways, reliving her public speaking fiasco has become as vivid and intense as her actual public speaking experience was. With this neural pathway being continually strengthened by repeated memory recall, just thinking about public speaking is enough to cause her body to be hijacked by the stress response. In addition to shutting down her digestion (which, in her case, translates into a lack of appetite), this stress response also makes her more susceptible to physical pain—hence, the stomachache that sends her to bed earlier than usual. And for people to begin to thrive in life, they usually need positive moments to outweigh negative ones by at least a three-to-one ratio. So how can we reverse this process, and prevent the stress Jenny experiences in 5th grade from interfering with her success in 7th grade and beyond? The secret to unraveling Jenny’s pattern of stress around public speaking lies in the body’s opposite response—the relaxation response. In this more positive state of mind, cortisol levels in the body naturally go down. As a result, Jenny can more easily access the creative center of her brain. Her body can once again support healthy digestion and metabolism, among other processes. She’s also less susceptible to illness and physical pain from headaches, stomachaches, injuries and more. The question is, in a case like Jenny’s, how can we quickly disrupt the stress response and initiate the relaxation response? There’s a growing body of research suggesting that Tapping, or EFT, is a simple but powerful way to do exactly that. 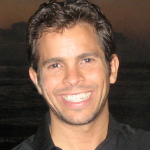 In a double-blind study conducted by Dawson Church, PhD, the control group, which received conventional talk therapy, showed only a 14 percent drop in cortisol levels, whereas the Tapping group showed an average decrease of 24 percent, a substantial and important difference. Some study participants experienced a decrease of as much as 50 percent in their cortisol levels. Within both groups, these changes all took place within a one-hour period. Research has also shown that acupuncture increases endorphin levels in the body. Since Tapping engages the same acupuncture points while also lowering cortisol, it is inferred that Tapping, like acupuncture, allows the body to release the endorphins that then reinforce positive feelings, as well as physical and emotional well-being. The incredible results that Tapping has demonstrated in relieving stress may be explained, at least in part, by its ability to access what are called meridian channels. Although awareness of these channels dates back to thousands of years in ancient Chinese medicine, it wasn’t until the 1960s that these threadlike, microscopic anatomical structures were first seen on stereomicroscope and electron microscope images. The scans showed tubular structures, 30 to 100 micrometers wide, running up and down the body. Described in a published paper by a North Korean researcher named Kim Bonghan, they are also referred to as “Bonghan channels.” As a reference point, one red blood cell is 6 to 8 micrometers wide, so these structures are tiny! You can think of meridian channels as a fiber-optic network in the body. They carry a large amount of information, mostly electrical and often beyond what the nervous system or chemical systems of the body can carry. By accessing these channels while processing emotions, thoughts and physical conditions like pain, Tapping gets to the root cause of stress more quickly than other stress relief techniques can. Given that Tapping sends calming, relaxing signals directly to the amygdala, it may also help us to override the brain’s negativity bias more rapidly. By using Tapping to neutralize what it thought were threats to its survival—which in Jenny’s case was public speaking—we may be able to reprogram the brain to support more positive experiences. Can Tapping work for your child? Yes! 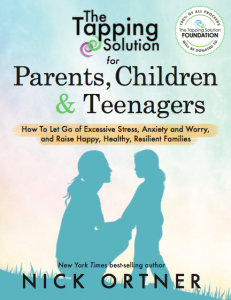 You can learn more about Jenny’s journey along with many other children, teenagers, and families who used Tapping to manage their everyday stressors in my new book, The Tapping Solution for Parents, Children and Teenagers. Whether your child, or student, is dealing with common social issues, school-related anxiety, or a specific diagnosis, this book will support you in understanding your role and providing specific tools to encourage success and lifelong achievement. The best part is that with every purchase of this book, 100% of the proceeds, in perpetuity, will be donated to The Tapping Solution Foundation to continue bringing EFT Tapping to schools and families, and providing trauma relief around the world. So if your child is struggling with common worries or school-related anxieties, or is coping with a specific diagnosis, and you’d like to support him/her with a life-changing tool, I urge you to pick up a copy of my book, The Tapping Solution for Parents, Children and Teenagers.